I went to Spurn this morning with high hopes of something good after yesterday's strong winds (although slightly from the wrong direction) and heavy rain. I started off at the Warren looking over the Humber. A massive flock of waders looked resplendent in the early morning sunshine and a few gannets flew out of the humber. The peace and tranquility was soon broken as something resembling the charge of the light brigade from the direction of the sea-watching hut signified the discovery of an Arctic Warbler in Easington. Within 5 minutes I had joined the rapidly increasing throng and not long after that a cracking arctic warbler was feeding in the willows above our heads. After some clever 'pishing' by one birder it was on show again, this time amongst clear branches allowing some decent but brief views. 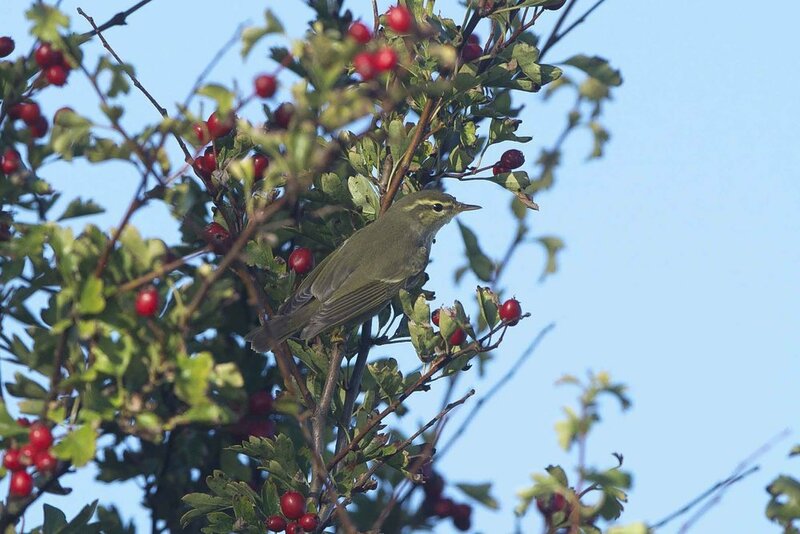 A ring-necked parakeet flew overhead calling as we waited for the Arctic warbler. After a while it appeared to disappear so I went back down to the canal to look for a red-breasted flycatcher. I only had a brief view as it flew past me calling. A shout on the radio highlighted a great skua flying out of the humber. I then went in search of a yellow-browed warbler. One had been reported on Holderness Fields but on arrival there was no sign. Then one was in sycamores in Kilnsea Village. It was giving off its tell-tale call and buzzing about high up in the canopy. 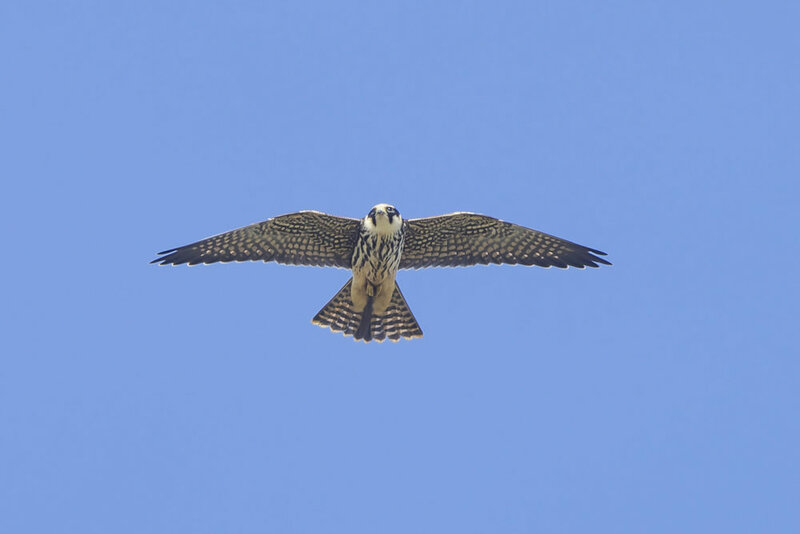 A fly by hobby was a nice bonus. 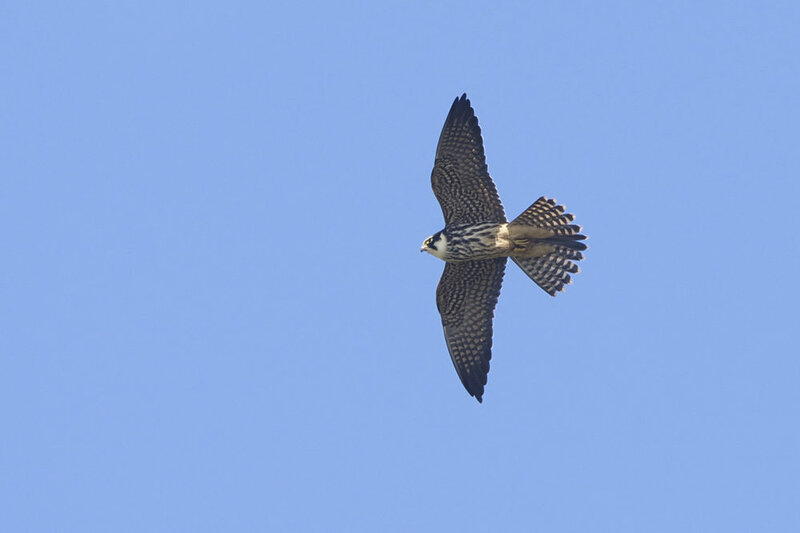 I went back down to the canal and was treat to more prolonged views of the hobby. It was hunting dragonflies over the canal. Another yellow browed warbler showed well at the Warren and it was then on to the poignant ceremony for scattering Andy Roadhouse's ashes at 'Numpty's Castle' migration watchpoint. It was a very fitting celebration of a great man and the words spoken and amount of people there was quite moving.